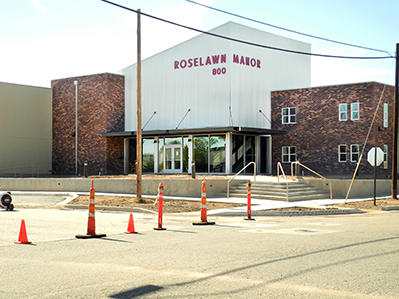 The Roselawn Manor affordable housing project, which broke ground in July 2016 at the site of the former Artesia General Hospital, is nearing completion. Many residents have already moved into the apartment complex, with just four vacancies remaining as of today. Work on the streets surrounding the complex is expected to be complete today, with landscaping slated for completion next week. City of Artesia Community Development director Jim McGuire stated at the last meeting of the Artesia City Council that the Manor has tentatively planned an open house for after the holidays.